If you would like to have a friendly chat, or would like to book a taster lesson, please get in touch. 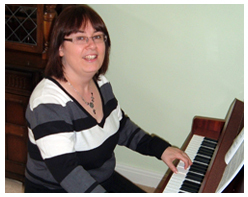 Fabulous piano lessons with Ceinwen in the Solihull and surrounding areas, including Shirley, Monkspath, Knowle, Wythall, Dickens Heath, Olton, Hollywood and Birmingham. I teach all ages and abilities and after one lesson you will be able to play your first tune whether you are 4 or 104! I completed my music degree in 1994 and in 2011 I passed my recital diploma which has given me an insight into how nerves can have an impact on your playing. I have experience in special educational teaching and worked alongside adults with learning disabilities for 8 years before embarking on my career as a piano teacher. I am a qualified clinical hypnotherapist and work with children and adults with conditions such as anxiety, phobias and self confidence. My teaching goals are simple; all my pupils enjoy their lessons and learn at their own pace. 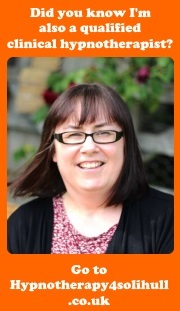 I am a grade 5 theory specialist and specialise in taking pupils straight to grade 5 theory. I will guarantee enjoyment and fun or the lesson is on me. Please do not hesitate to get in touch and book your taster lesson.